...not sure how to fix this item. The wing is a flexible plastic but held that side ways position because a box was resting on it for a while. Perhaps getting the heat gun out and let it get warm before holding straight? Any tip is appreciated. Viva La LaLD! 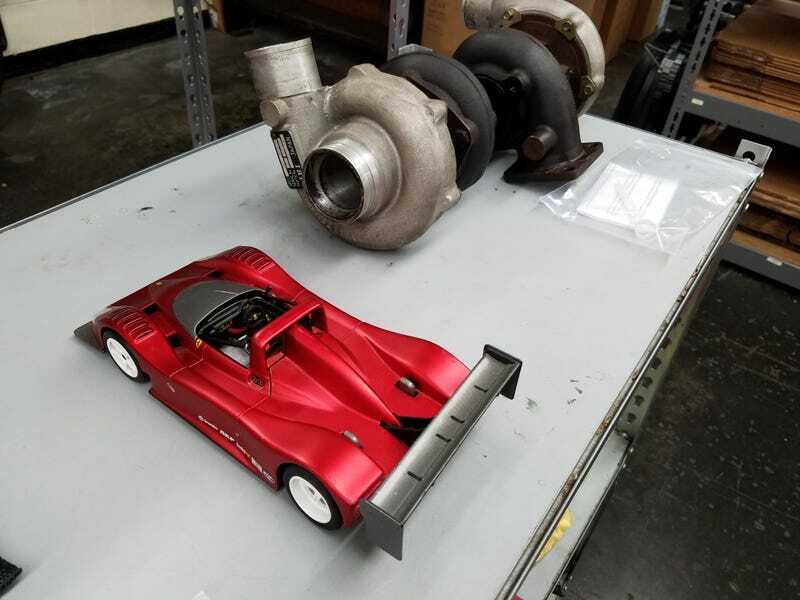 PS: Those are a pair of IHI turbos off an F40 on the table.